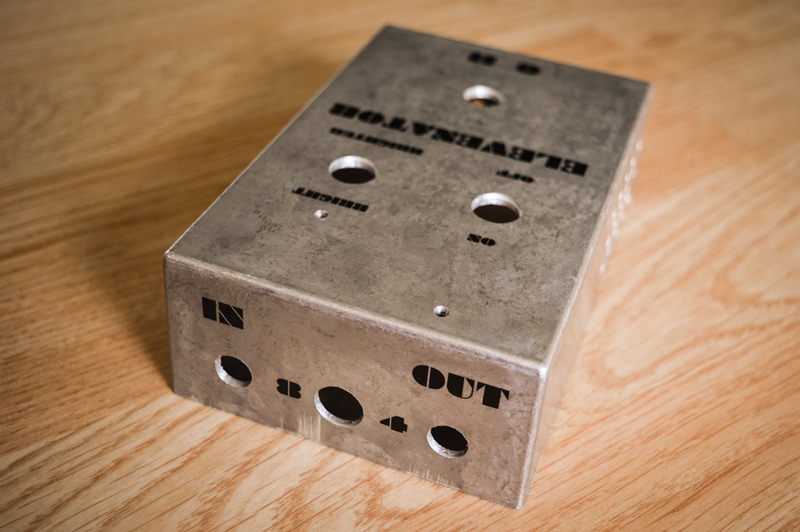 The ‘All About… Attenuators’ feature we ran in the got me thinking. I had never seriously considered buying an attenuator because I play mostly through low-ish power valve amps and I’ve always been fairly happy using an overdrive pedal or an amp modeller for low-volume jamming and practising at home. However, I like high-power amps too, and to do them justice they need to be cranked up. Courtesy to family and neighbours restricts the amount of time I can spend playing them at or near full volume. There’s also the issue of long-term hearing damage to consider. The upshot is that while researching the attenuator article I discovered plenty of guitarists have been building their own. So I spent some time investigating various designs and features, sourcing parts and experimenting with components. 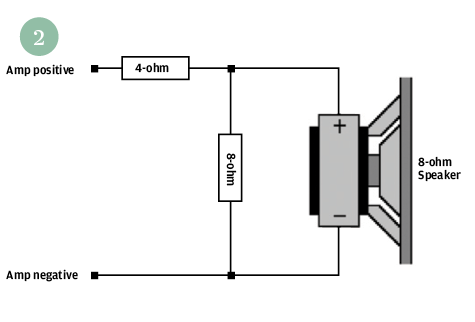 The result is a design for a bypassable resistive attenuator that can work at 4 or 8 ohms and features treble compensation. This is one of the easiest DIY projects we have covered in G&B so far. 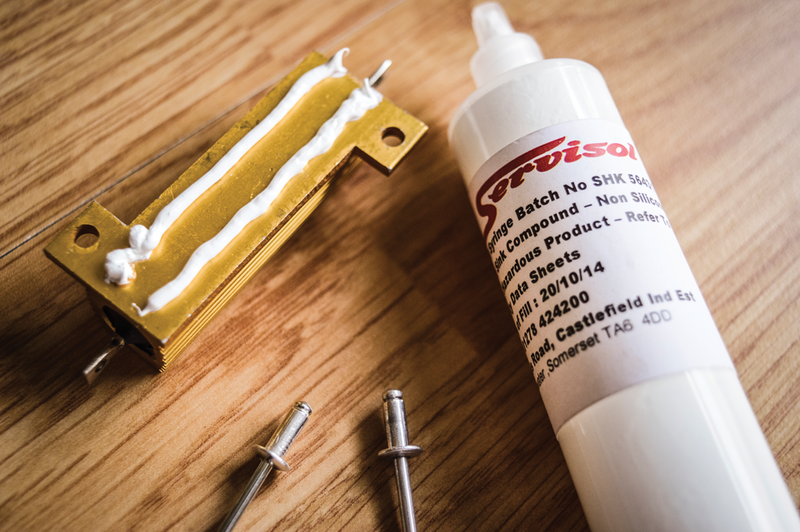 All the parts are easy to find, and for a few hours’ work and relatively little outlay you can build an attenuator that would cost £100 or more to buy. All you really need is pliers, a soldering iron, an electric drill and a step cutter bit. 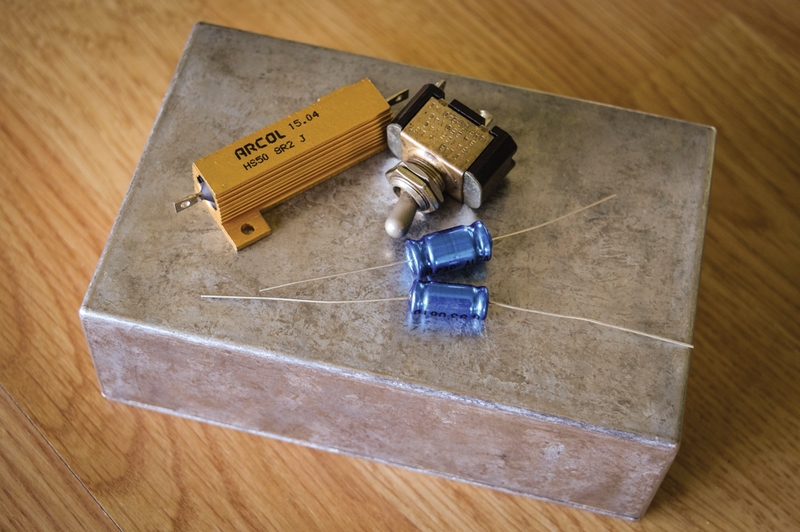 There are myriad ways of attenuating an amplifier signal, but the vast majority of DIY attenuators are based on a straightforward circuit called an L-Pad. This method employs extra resistors to dissipate electrical energy as heat. In simple terms, amplifiers and speakers must be matched, so if your amp’s output is labelled 8 ohms, it should be connected to a speaker rated at 8 ohms. The clever thing about the L-Pad design is the way it adds resistors to the circuit but retains the same ‘load’ at all times. Let’s look at a basic example; if you wire two 8-ohm resistors in parallel, the combined resistance will total 4 ohms. If you solder an 8-ohm resistor across the terminals of an 8-ohm speaker, the result is the same – a 4-ohm load. If you then connect a 4-ohm resistor in series with the paralleled 8-ohm resistor and 8-ohm speaker, the load resistance comes back up to 8 ohms. The power from the amplifier is divided between the speaker and the resistors. The resistors convert power into heat while the speaker converts the power into sound energy. Since the speaker receives less power from the amp than it did without the added resistors, acoustic energy is lower and the amp sounds quieter. In the example given above, there would be an attenuation of around 6dB. 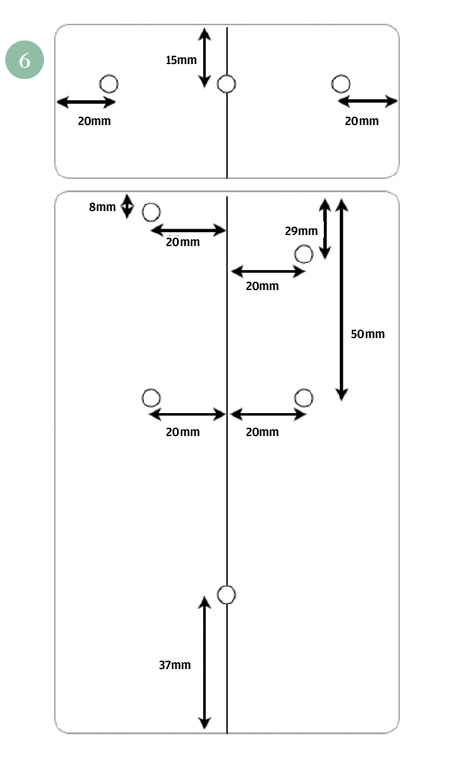 Working out the attenuation involves some complex maths, but there are several websites with tables and L-Pad calculators that can make things simple. Checking one of these tables, we see that, roughly speaking, a 20k parallel resistor coupled with a 2k series resistor attenuates the signal by 3dB. With 4k and 5k in the same configuration, the attenuation is closer to 9dB, but the amplifier always ‘sees’ 8 ohms. It’s perfectly possible to combine a rotary switch with an array of resistors to build an attenuator that works in 3dB increments. In fact, plenty of commercially manufactured attenuators work exactly like that. The common complaint is that the crude settings are generally a bit too quiet or a bit too loud and never quite ‘right’. The easy solution is to use a rotary L-Pad controller. Everyone at G&B was massively impressed with the master control on the recently reviewed Elektra 185 amp – and that turned out to be an L-Pad. These devices are like oversized volume pots with dual wire-wound resistors inside. Internal variable resistors are wired in series and parallel and, regardless of the position of the control knob, the total resistance of the L-Pad device remains constant. When choosing an L-Pad there are certain stipulations you should consider. Firstly, you must buy one that matches the load you need. 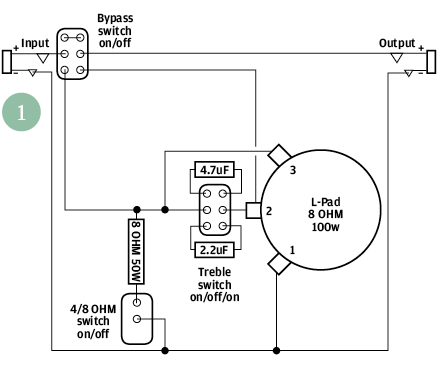 So if you are using an 8-ohm speaker, you will need an 8-ohm L-Pad. Secondly, they have power ratings, so there’s no point buying a 15-watt L-Pad to use with a 50-watt amp. In fact, there’s not much point at all in buying a 15-watt L-Pad. You’ll save a couple of pounds but the attenuator will always run hot and you may end up blowing it. For this project, I just bit the bullet and sourced a 100-watt, 8-ohm L-Pad . Having said that, I’d still be cautious about using it with amps more powerful than 50 watts. 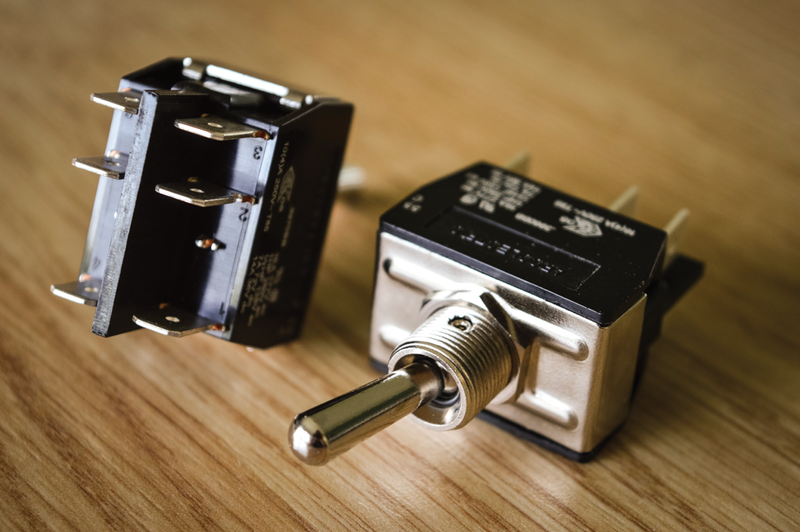 The merits of true bypass are well worth a debate if we’re referring to pedals, but when you’re considering 50cm or so of cable length to connect an amp to a speaker, it’s a no-brainer. 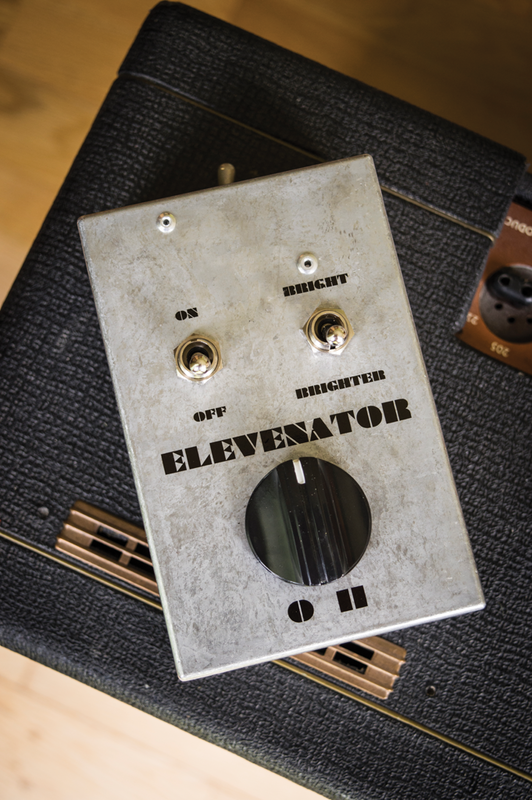 So our attenuator will have a true bypass toggle switch. 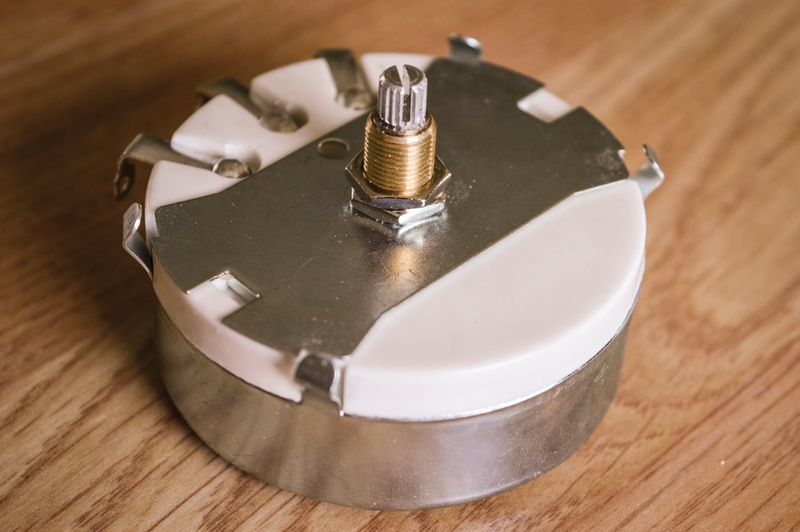 This allows the attenuator to be switched completely out of circuit, so you could install one permanently on the inside of a combo cabinet and switch it on only when required. You’ll also be able to compare the attenuated and non-attenuated tones. It’s those pesky Fletcher Munson curves again! Our perceptions of brightness and bassiness change depending on volume level. So changes in tone that we may perceive when the amp signal is attenuated may not be a characteristic of the attenuator but rather a function of volume and the way human hearing works. Either way, one of the complaints levelled at L-Pad attenuators is the way they reduce treble content, with a knock-on effect on clarity as attenuation is increased. 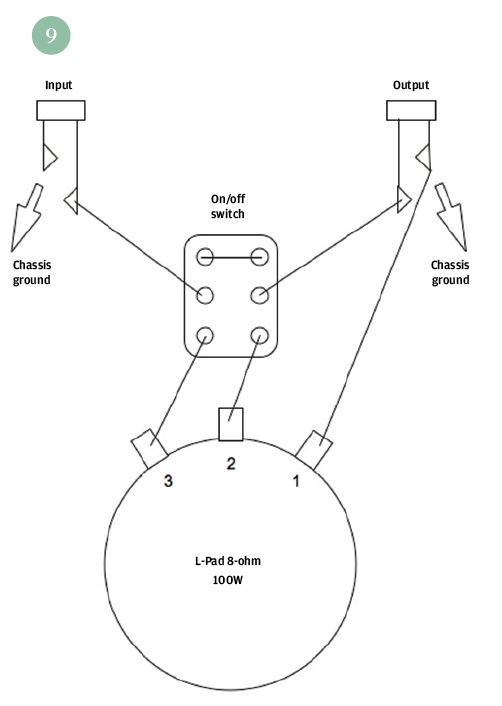 Therefore, this design incorporates a three-way treble switch. Using an on/off/on switch means the centre position can be neutral and the other two positions can provide two preset degrees of treble lift. The basic principle is more or less identical to the treble bleed capacitors used in guitar wiring. 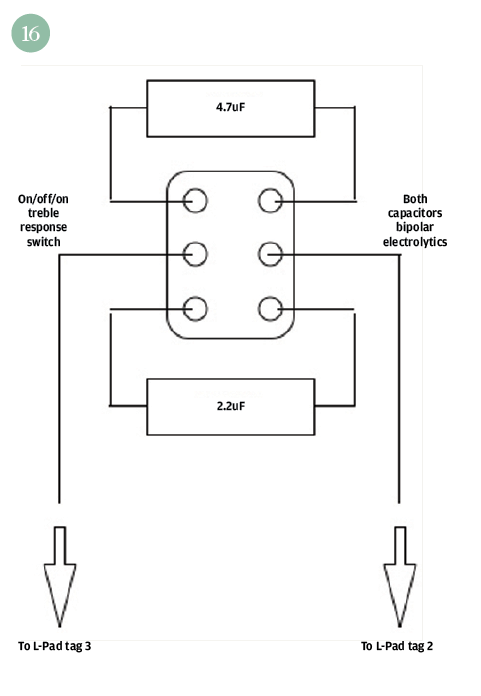 The switch connects bipolar electrolytic capacitors across two terminals of the L-Pad, so the upper-frequency content of the amp signal goes straight to the speaker and the attenuator acts only on frequencies below a selected point. Since the L-Pad and speaker present the amp with a consistent 8-ohm load, regardless of the amount of attenuation, it’s quite easy to change that to 4 ohms. All that’s needed is an 8-ohm resistor in parallel with the L-Pad. However, you can’t use any old 8-ohm resistor. The type you need has to be able to handle the power produced by the amp. 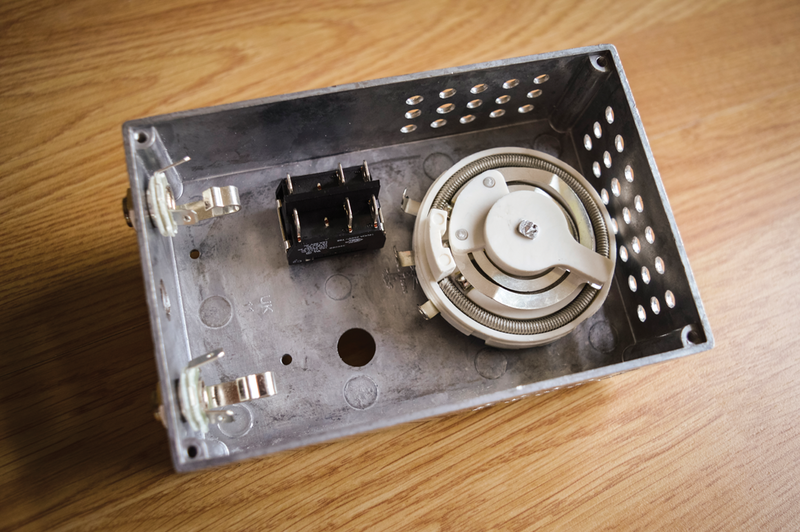 Wire-wound are the type to get, and they come installed inside an aluminium housing. These resistors will ideally be fixed to a heat sink and, in this case, the die-cast aluminium enclosure will serve that purpose adequately. 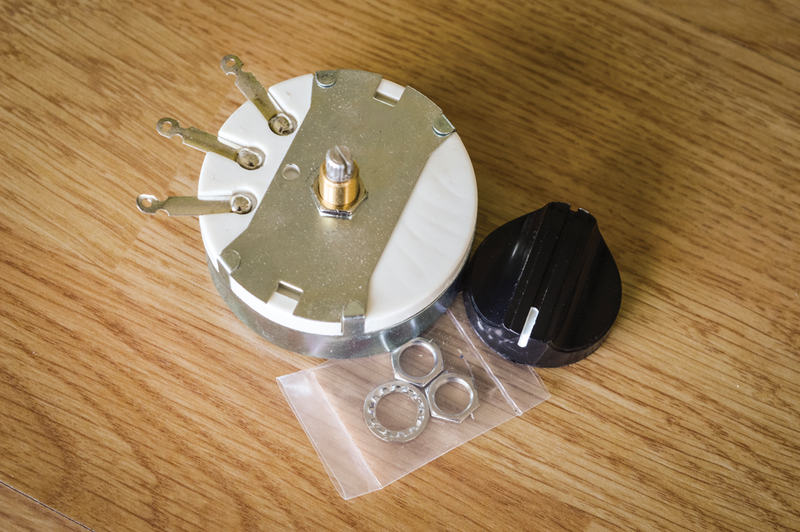 One of the perennial problems with electronics projects is finding the parts you need – or rather finding all the parts you need from a single supplier. When you are obliged to buy from several suppliers, you may end up paying postage charges for each order, and the costs can mount up. With the exception of the power resistors and bipolar capacitors, I was able to get everything I needed from CPC UK. See the parts list for further details. 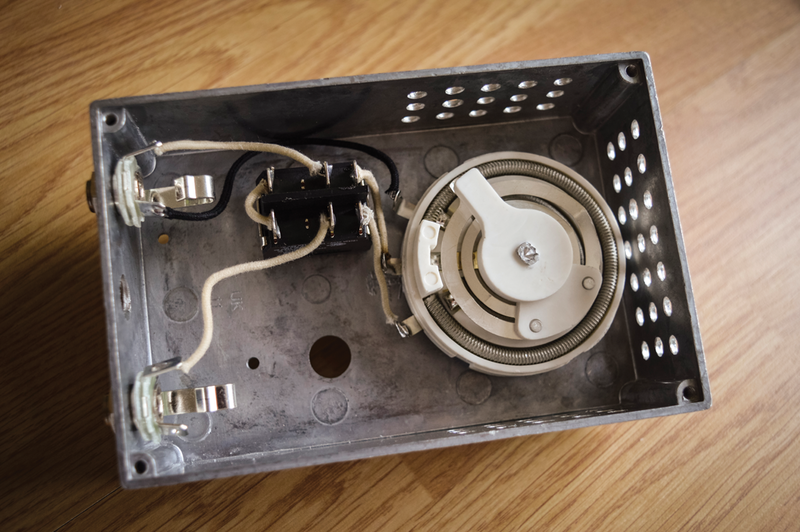 This turned out to be the trickiest and most time-consuming part of the project, but if you buy an enclosure of the same size and use the measurements provided, the work should progress fairly quickly. 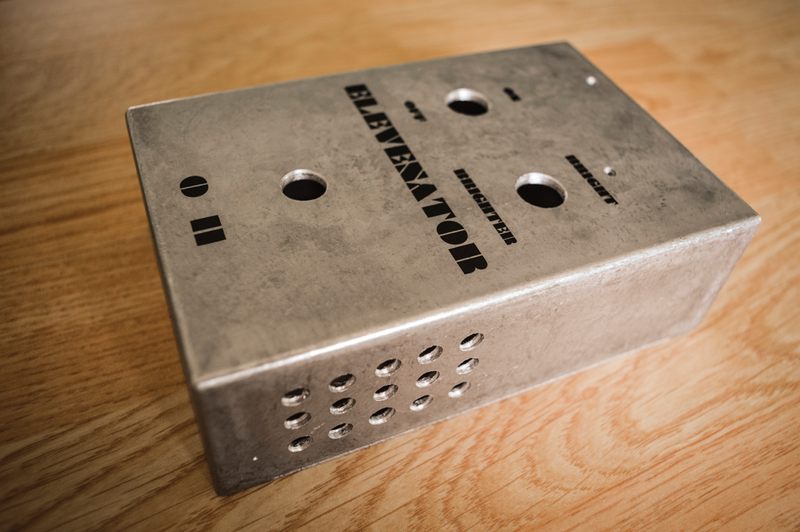 I used a Hammond 10758PSLA enclosure measuring 49x145x95mm, so it’s far larger than a conventional stompbox. Although relatively few holes are required for the components, I drilled ventilation holes in the sides of the enclosure around the position of the L-Pad. Remember how the L-Pad dissipates amp power as heat? The ventilation holes should help to prevent things getting too hot. Apply masking tape all over the enclosure, mark out the positions of the holes and drill them out using a small bit – about 3mm in diameter should be fine. These pilot holes can then be widened using a step cutter. Once it’s complete, you can remove the masking tape and use needle files to clean off any aluminium burr. I knocked up a design in a graphics program and printed it onto water slide decal paper. The decal was applied to the box and, once it had dried, I sprayed it with clear coats to seal and protect it. Although I’ve added impedance and treble response switches to this design, you can pick and choose which features will be useful to you. The only compulsory parts are the jack sockets and the L-Pad. With that in mind, I’ll build this project in stages, starting with a basic bypassable 8-ohm attenuator. The L-Pad used here has a metal cover. These covers can be removed to expose the insides to the air and keep the L-Pad cool when dealing with high-power amps. Start by fixing the jack sockets, L-Pad and bypass switch. If you have used a water slide decal, take care not to over-tighten the nuts, because you may tear up the surface. With the first stage of the wiring now complete, you should test that the L-Pad is working properly. Ensure the unit is switched to bypass, connect the amp’s output to the attenuator’s input and connect the speaker to the attenuator’s output. Switch the amp on and once you’ve established everything is operating normally, set the attenuator control halfway and switch on the attenuator. If everything has been done correctly, you should hear the same sound – only quieter. 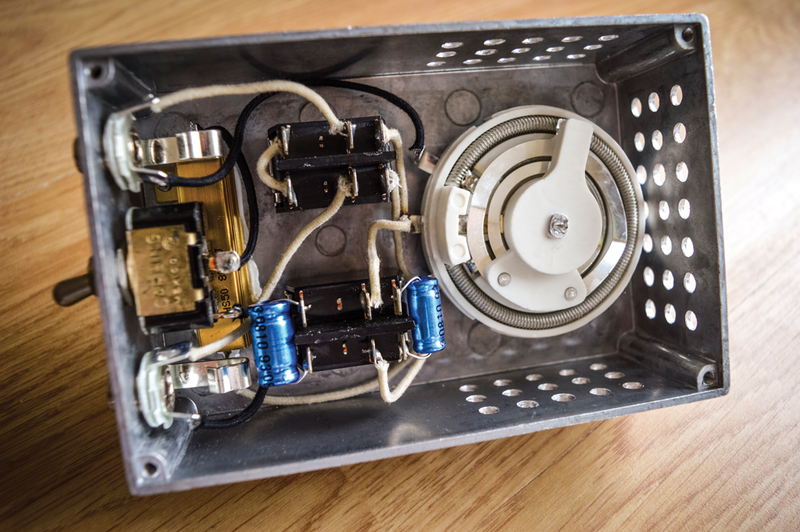 If you can’t hear any amp signal, switch back to bypass immediately, turn off the amp and check your wiring. Assuming that everything is working, it’s time to move on to the next stage. 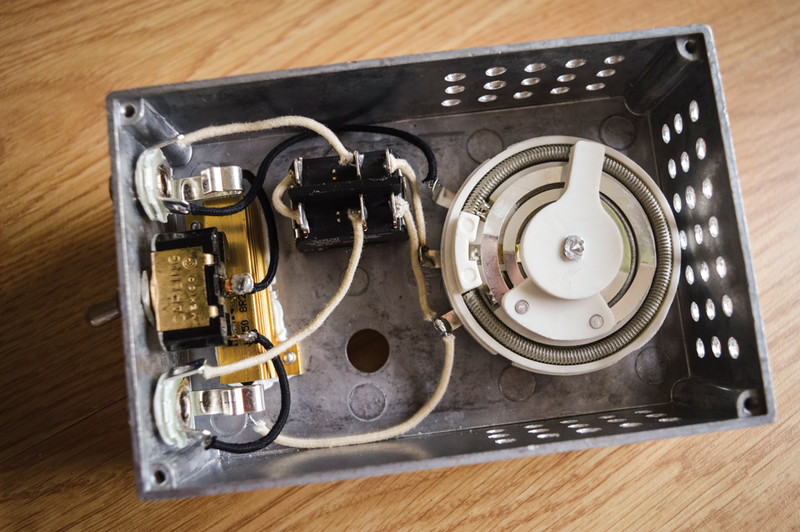 To shoehorn everything into this enclosure, the high-power 8-ohm resistor had to be tucked into the space under the jack sockets. Again, keeping the component cool is paramount, so a bead of thermal compound was run along the underside of the resistor housing before it was fixed to the enclosure with pop rivets. Since the enclosure is being used as a heat sink, this compound ensures heat is transferred from the resistor to the enclosure more efficiently. Two wires were soldered to the resistor, with one connected to the L-Pad and the other to the impedance switch. The second lug of the switch was soldered to the ground on the output jack’s sleeve tag. 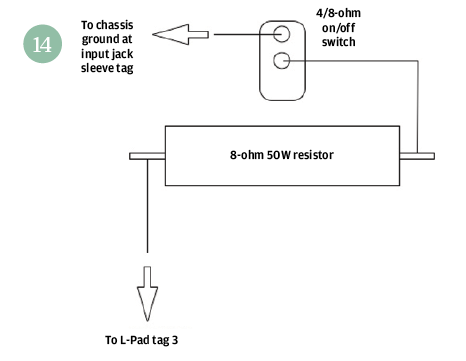 When the switch connects the resistor to ground, it operates in parallel with the L-Pad and the attenuator’s impedance drops to 4 ohms. For the treble switch, it’s easiest to solder the capacitors and hookup wires onto the tags before the switch is installed in the enclosure. Various sources suggested values of 4.7uF and 10uF, but I found the 10uF capacitor too bright. You may feel differently, but the values I settled on were 2.2uF and 4.7uF. The effect is more subtle and in keeping with frequency response correction rather than equalisation. Drilling the ventilation holes was the toughest part of this project, but only because it was so tedious. Other than that, it was a quick, easy and cheap project that performs exactly as expected. Even with the level control set for minimum attenuation, switching the attenuator on results in a slight drop in volume, but that’s what it’s supposed to do. From there, the level dials down smoothly until it vanishes altogether. After an hour of continuous playing with a 20-watt amp, the L-Pad was barely warm to the touch. Overdrive can sound a bit grainy without the smoothing effect of a compressed speaker, and you may notice a slight reduction in treble and bass, but throughout most of its range this design sounds surprisingly natural. The attenuated amp tone is certainly preferable to that obtained from using an overdrive or a digital modeller. So you really should consider building one of these. You owe it to your flat-mates, family, pets, neighbours and to your own sense of hearing. DISCLAIMER: Running an amplifier flat out for extended periods can cause output transformers to fail and hasten the demise of valves. Guitar.com and Guitar Magazine accept no responsibility for damage suffered as a consequence of using our attenuator design and all Workshop tutorials are followed at your own risk.